The term “restorative dentistry” refers to the process of addressing oral health issues causing a challenge in your oral operation and restoring your mouth to a useful yet aesthetic state. Our dentists are very capable of performing just about any of the procedures required to restore ones oral health back to full operation and with a beautiful smile to boot. Restorative dentistry procedures can include fillings, veneers, crowns, bridges, full and partial dentures, and dental implants or a combination thereof. Whether our dentist uses the term “restorative dentistry” or “prosthodontic dentistry,” the mission is to preserve as much and as many of your natural teeth as possible. Replacing a missing tooth or teeth with a dental implant, bridge, full or partial denture helps promote dental health as well. Example: if you have gaps in your teeth filling the empty spaces can be helpful in preventing cavities in the surrounding teeth because gaps can cause vulnerable spots for plaque and the bacteria in plaque to have a place to build up. Missing teeth can also put extra stress on the surrounding natural teeth because there is less surface to use for chewing, hence, more pressure. When considering a strategy for dental care that could include restorative dentistry, it is wise to consider both physical and fiscal factors which mean both your health and your budget. 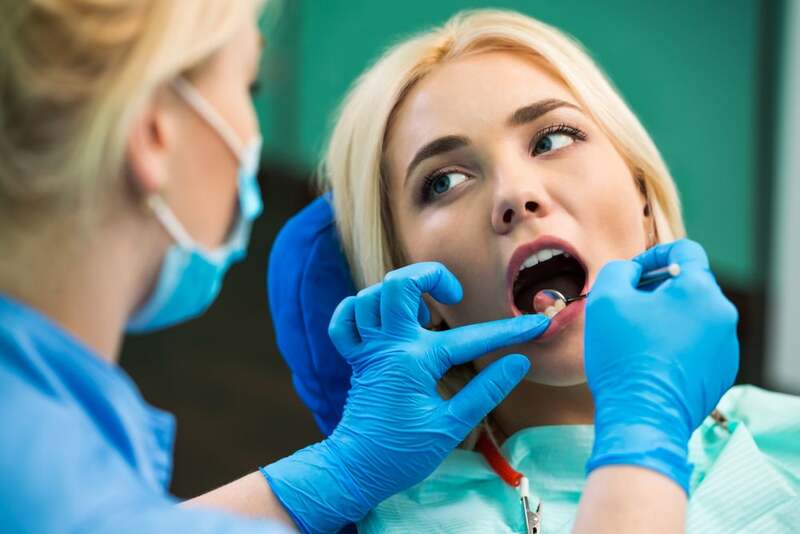 Our dentists will try to preserve as much of your natural teeth if possible before turning to full or partial dentures so you won’t have to remove and clean the devices regularly. But sometimes full or partial dentures are the better option if you have many missing teeth and you’re not a good candidate for dental implants due to other health issues.